Home / Student Questions / We only get 55-65 minutes to write our essays in ELA. What are some tips for writing quickly but well? An hour can seem like an eternity if you do not have anything to say or if you are unsure how to say it, but it’s a painfully short amount of time if you have plenty to say and know how to say it. Either way, careful time management is needed to ensure that all of the elements of the essay assignment are thoroughly addressed so keep an eye on the time as you proceed. If you have received some indication of the type of topics that will be included in your test, perform some preliminary research and save this information in a dedicated directory. You can also save time writing your ELA essay by opening a document, creating a basic outline and saving it to your dedicated directory so you’ll be ready to proceed as soon as the testing begins. When the testing begins – RELAX — scan the essay assignment guidelines to get a feel for the topic and what is required. Next, go back and re-read the assignment guidelines more thoroughly to ensure that you fully understand what is required and then get to work writing. Begin your ELA essay with an interesting “hook” that will gain the reader’s attention and then move directly into your thesis statement which is one or two sentences about what you intend to write about and the points you will make. Next, write a thesis statement for each of your body paragraphs. This latter step provides the basic framework you need to “fill in the blanks” with outside research or additional empirical observations and personal insights. When you’ve finished completing your body paragraphs (be sure to include a relevant transition from one body paragraph to the next), you can move on the conclusion. Re-review your thesis statement to ensure you’ve actually included everything you stated and summarize these findings with important points in the conclusion (be sure you don’t add any new information in the conclusion). "We only get 55-65 minutes to write our essays in ELA. What are some tips for writing quickly but well?." Aceyourpaper.com. Student Network Resources Inc, 9 September. 2017. Web. 18 April 2019. Student Network Resources Inc. "We only get 55-65 minutes to write our essays in ELA. What are some tips for writing quickly but well?." Aceyourpaper.com. 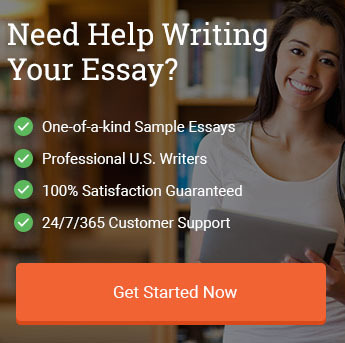 https://www.aceyourpaper.com/student-questions/55-65-minutes-to-write-our-essays-in-ela-tips-for-writing-quickly-but-well/ (accessed April 18, 2019).